"Keeping the level of quality at the highest it can be ... is what sets us apart"
Amapeli's Embroidery & Design, Inc is a leading distributor for custom embroidery, screen printing, and promotional products. Our mission at Amapeli's is to provide incredible personal service, top quality products, low cost assurance, and fast turn-around. Our focus is on personal contact with our customers, to provide creative positive long-term working relationships and the highest quality of customer service. We work with our clients as part of a team to create and implement superior personalized products. The quality of our workmanship and exceptional customer service is what sets us apart. That is what our reputation is based on. We take pride in our design detail and quality digitizing. Our customers can bring their own logo or design, or take advantage of our in-house art and logo department. 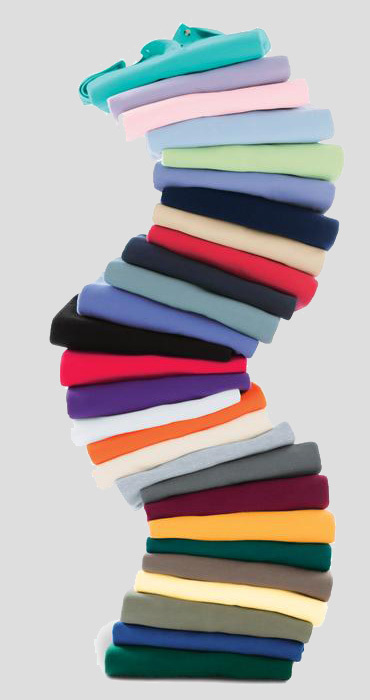 We offer a wide range of quality brand name garments in many styles to include: Polo shirts, caps, denim, towels, uniforms, jackets, aprons, bags, t-shirts, personalized gifts and much more! Amapeli's Embroidery & Design, Inc will outfit your corporate team, sports team, or any team with quality apparel for any occasion. Simply send us your business card or artwork, indicate the garment style you are interested in, and we will provide you with a quote via e-mail or fax designed to meet your needs, within 24 hours! "Make a difference in your first impression"